Ugh, Lab Work. So Boring…Right? When most people think of archaeology, they probably picture someone digging in a jungle searching for hidden treasures, or perhaps uncovering the tomb of some great pharaoh in Egypt. Sitting in a well-lit and comfortable lab re-bagging artifacts while listening to music usually doesn’t factor into the adventurer stereotype that many people may assume is what archaeology is all about. Working in a lab may even sound incredibly dull and uninteresting. However, this simply isn’t the case, and I can attest to the fact that lab work can actually be incredibly interesting and fun- while still fulfilling its primary purpose of processing, identifying, and analyzing artifacts. Though originally our groups had no idea what to expect from our two-hour long lab work session, we took to our task of re-labelling and re-bagging artifacts fairly easily and quickly. 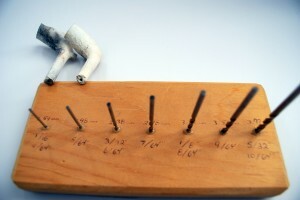 The work was relatively simple when we got into a rhythm, but still managed to hold our attention. Even the seemingly endless fragmented animal bones were exclaimed over when we were told what part of the body they came from. Teeth, ankle bones, even bits of turtle shell were the source of many “Cool!”s and “Wow!”s. There was never a moment of boredom, and the time flew by because we were constantly learning more and more about the artifacts we were handling. Drill bits can be used in the lab to find the diameter of a pipe stem and thus determine what time period the pipe is from. artifacts. An artifact may be wrongly identified in the field for a number of reasons, and, upon analysis in the lab, be properly identified and dealt with accordingly. It may also prove difficult to determine what time period an artifact is from in the field, and access to special equipment, texts, or other tools that aren’t available during field work may be necessary. Even though lab work may initially sound dull when juxtaposed against the “adventures” of field work, processing artifacts can, in fact, be just as enjoyable and interesting as finding them in the first place. 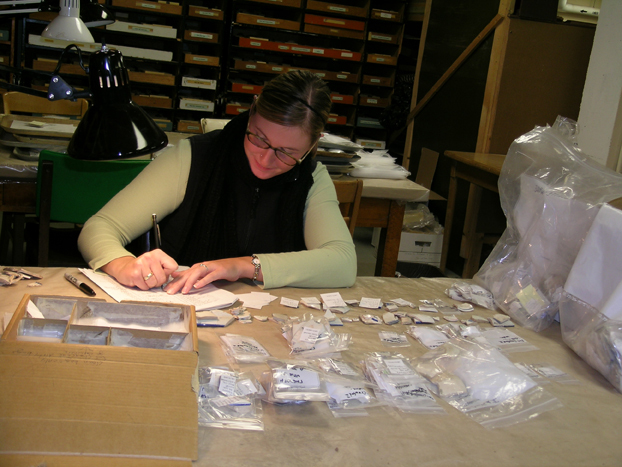 Lab work allows the archaeologist to learn more about the artifacts they’ve found so they can accurately analyze them within the context of history. Because of this, lab work is a major pillar of archaeology that is necessary to understanding history to the best of our ability. “Archaeological Methods.” Alabama Archaeology. N.p., n.d. Web. 10 Nov. 2013. <http://bama.ua.edu/~alaarch/Methods/>. “The Dig: Adventures in Archaeology.” ThinkQuest. Oracle Foundation, n.d. Web. 9 Nov. 2013. <http://library.thinkquest.org/J001645/htdi.shtml>. Tiver, Donald. “Becoming a Well-rounded Archaeologist.” Day of Archaeology. N.p., 29 July 2013. Web. 9 Nov. 2013. <http://www.dayofarchaeology.com/becoming-a-well-rounded-archaeologist/>. Conducting archaeological research is a difficult process. 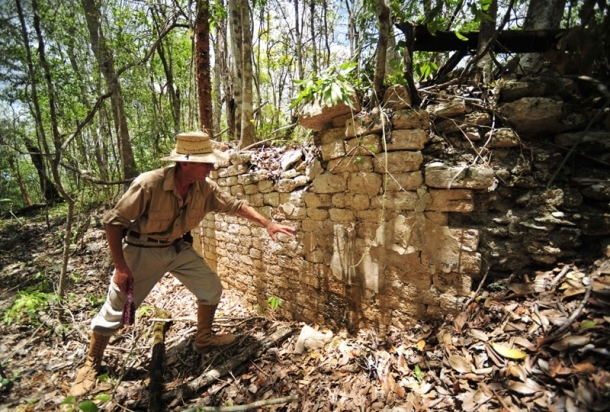 Natural decay, catastrophic events, looters- all present challenges that must be navigated by the archaeologist. Now try doing it a hundred (or more) feet underwater. Underwater archaeology is, as the name would suggest, archaeology practiced underwater, and it presents a whole new set of problems for archaeologists. For one, underwater sites like sunken ships are difficult to access, requiring experienced divers and diving equipment (and, in some cases, submarines). Tidal flows and poor weather may also render some sites inaccessible at certain times. Underwater archaeologist Joseph W. Zarzynski makes a measurement of the starboard view hold on the 1758 Land Tortoise radeau shipwreck, a British warship from the French & Indian War. underwater for very long, making repeated dives necessary in order examine and record the entire site. Extensive planning and choreography of the dives beforehand, therefore, is of the utmost importance. Even when carefully planned out, recording an entire site can take many years, as in the case of the Land Tortoise Radeau. Another challenge of underwater archaeology is the temperature of the water. Though they wear wetsuits (or drysuits in colder water) divers’ bodies will eventually get cold as they give off heat to the surrounding water. This, along with having fixed amounts of air, limits the amount of time that divers can spend observing and recording underwater sites. Limited visibility can also present a huge problem for underwater archaeologists. 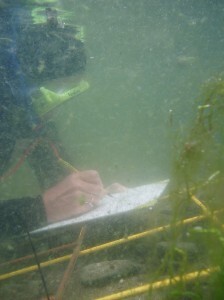 Scale drawing and photography are both popular techniques when it comes to recording underwater sites, but poor water clarity distorts photographs and can make it difficult for divers to record their observations. However, the use of photoshop to combine photographs of the site taken at adjacent points has helped to overcome some issues of visibility underwater. The use of video cameras can also help provide a more accurate picture of the site. After sorting through the many issues that arise during the planning and conducting of underwater archaeological research, archaeologists are faced with the difficult task of preserving underwater sites and artifacts. Conservation of underwater sites is both expensive and time consuming, but without proper care artifacts may deteriorate or be damaged accidentally by members of the public. In many cases, it is inconvenient or impossible to remove underwater artifacts, and archaeologists must work to ensure that the site is protected from looters and other sources of potential damage. Many artifacts, including currency, have been recovered from the Titanic. when conducted properly, it can yield amazing finds. A popular underwater site that immediately comes to mind is that of the RMS Titanic. 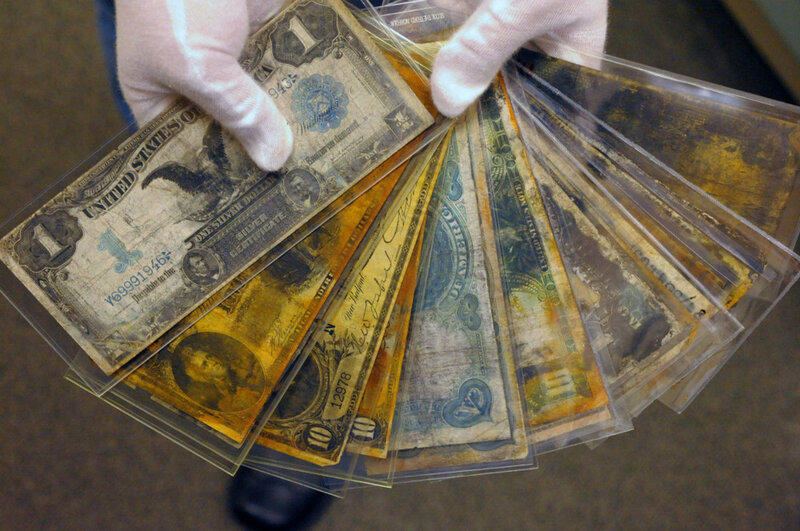 The Titanic lies over 12,000 ft under water, making it extremely difficult to access and conserve, but many artifacts from the wreck have been recovered and used to educate the public about the lives of the ship’s passengers. In this way, despite its many challenges, underwater archaeology is a thrilling and rewarding sphere of archaeology that can teach us much about the people of the past, while simultaneously breaking down the ever-persistent Indiana Jones archaeologist stereotype. Ashmore, Wendy, and Robert J. Sharer. “How Archaeology Works.” Discovering Our Past: A Brief Introduction to Archaeology. New York, NY: McGraw-Hill. 64. Print. Cantelas, FJ; Rodgers, BA (1997). “Tools, Techniques, and Zero Visibility Archaeology.” In: EJ Maney, Jr and CH Ellis, Jr (Eds.) Diving for Science…1997. Proceedings of the American Academy of Underwater Sciences (17th Annual Scientific Diving Symposium). Durrani, Nadia. “Underwater Archaeology: George Bass.” World Archaeology. 7 Nov. 2005. Web. <http://www.world-archaeology.com/features/underwater-archaeology-george-bass/>. Hamilton, Donny L. “Basic Methods of Conserving Underwater Archaeological Material Culture.” Web. <http://www.history.navy.mil/branches/UA_%20Conserv.pdf>. “The Challenge of Working Underwater.” Wisconsin Historical Society. Web. 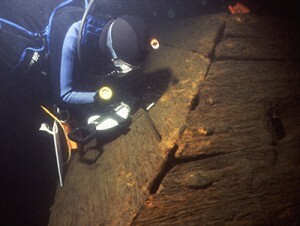 <http://www.wisconsinhistory.org/shipwrecks/learn/challenges.asp>. “The Importance of Underwater Archaeology.” Wisconsin Historical Society. Web. <http://www.wisconsinhistory.org/shipwrecks/learn/importance.asp>. “The Lost Radeau: A Shipwreck in Lake George.” All Over Albany. 5 Aug. 2009. Web. <http://alloveralbany.com/archive/2009/08/05/the-lost-radeau-a-shipwreck-in-lake-george>.